Inferable from our top to bottom area skill, we are putting forth a premium quality Bank Locker that empowers simple stockpiling and access for money, archives and other significant things. 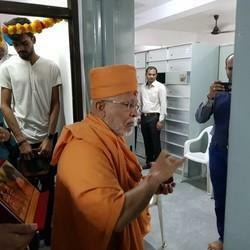 Size: 21 x 16 x 19"
We offer Bank Lockers which are available in range from 15 numbers of lockers in a unit to 90 lockers in a unit as per standard specifications and requirement of the banks. 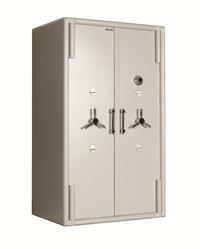 We excel in manufacturing and supplying a wide assortment of Steel Bank lockers. Besides, one can avail these in various attractive styles and designs. These find their wide application in Banks. Made using finest quality components, these racks are highly durable and ensure long functional life and maximum durability.